You just come back from your summer vocation full of sweet memories and great photos on your memory stick. But only now you recognized that all your images had really strange format - CR2. What is it? And why your computer doesn’t display those photos? It’s easy – you camera makes photos in a professional raw format(CR2), it means that your bought a really good camera. However, it also means that you need to install special programs for CR2 editing, or (and that variant is better) convert your CR2 to JPEG. 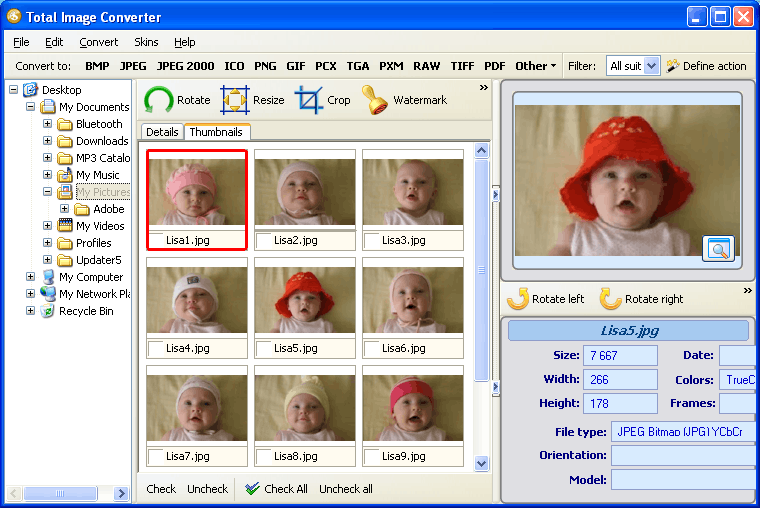 Professional photographers use cr2 jpeg converter for such needs, for example Total Image Converter. People choose this program because it is simple, quick and reliable. So, what advantages such conversions have? You can share your photos with your friend and don't worry if they have special software for cr2. JPEG is international and very popular format – you can watch it at any computer. 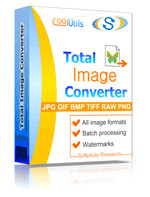 Why it is better to use Total Image Convertor to convert cr2 to jpeg? You can convert ALL your cr2 pictures at same time. You don't need to choose every picture separately anymore. You can watermark your cr2 pictures - put date, text, or your logo on it. It's not difficul to use Total Image Convertor. 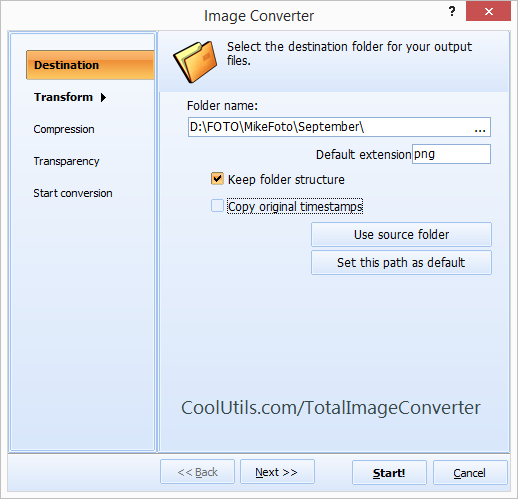 You just need to download and install Total Image Convertor, then choose pictures you want to convert and press 'convert' button. That is all, you don't need any special knowledge about image formats, layer, etc. So, if you have good professional camera which makes photos in CR2 format and you don't want to spend a lot of time and money for special programs that works with cr2 - you should just convert all your cr2 pictures to jpeg. 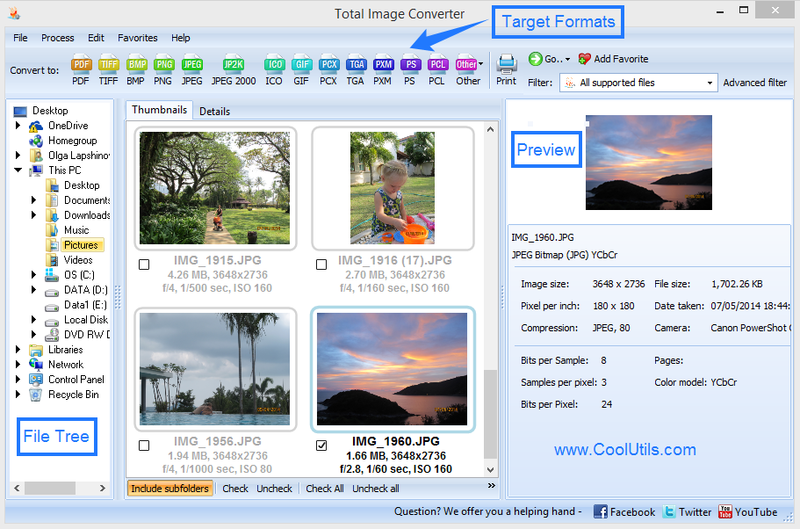 And if you want to do it in quick and quality way - you should choose Total Image Converter – simple and powerful tool.